My thanks to BookSparks for sending me a free copy of this book for my role as an official Winter Reading Challenge Ambassador. All opinions are my own. The Night Tiger is such a rich and magical story, full of bits of Chinese culture and thoroughly developed, interesting characters. The story alternates between 11-year-old houseboy Ren’s perspectives and that of a young woman named Ji Lin. 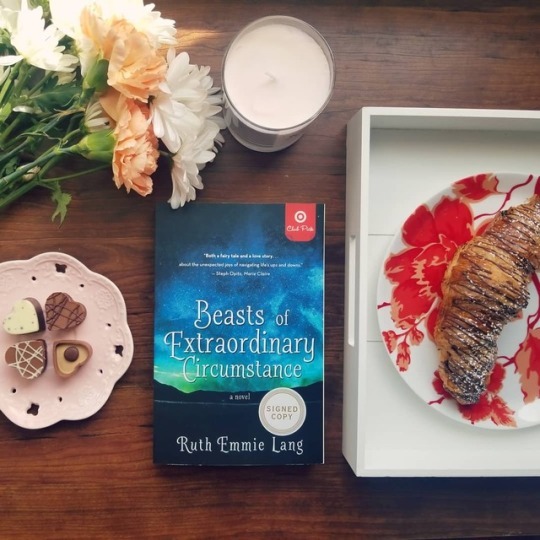 Their stories are woven together, oddly enough, by the severed and preserved finger of Ren’s deceased master, which has inadvertently fallen into Ji Lin’s possession before Ren could reunite it with the rest of the body in its grave. Chinese folklore says that the body must be made whole in death or the departed cannot rest. The magical realism in the novel was really beautifully done, mainly woven into dreams, vague senses, and whispered-about folklore which may or may not be true. There are rumors of men who can turn into tigers, though we never see one, and a sense that those who have departed can still tip the scales in events of the living world in small ways. The end result is a magical, dreamy story that still feels anchored in the real world. If I have any complaint about this book it’s that it did take me a while to become invested in the story and characters. The pacing early on feels a bit slow compared to the whirlwind of events at the end of the story. However, the overall story felt well worth the time investment by the end. 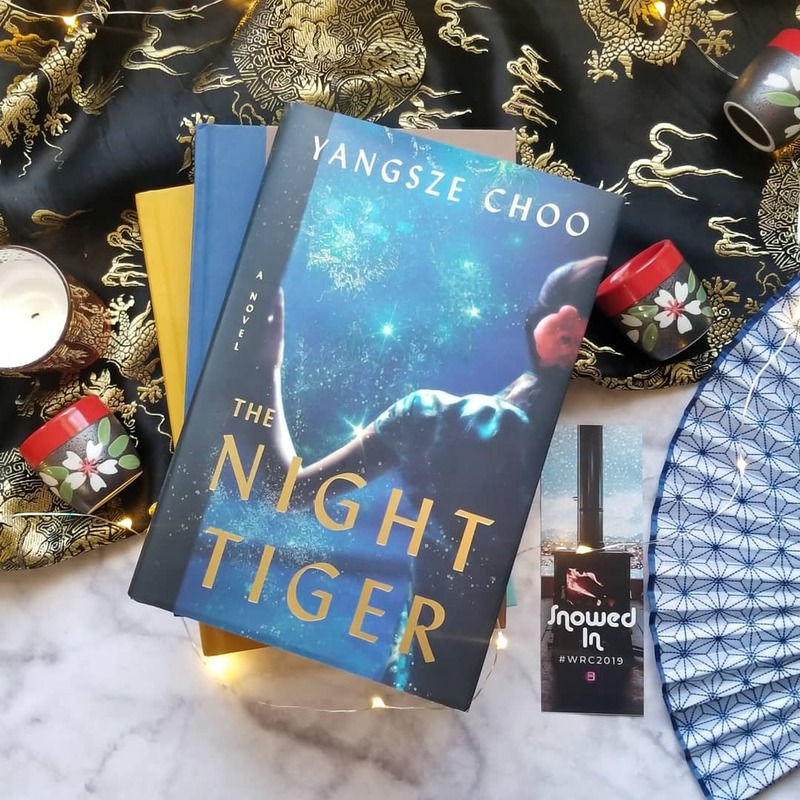 The Night Tiger may be a great choice for fans of The Dreamers, by Karen Thompson Walker, or The Night Circus, by Erin Morgenstern. Thank you for reading! Do you have a favorite novel that features magical realism? Let me know in the comments! The Dinner List was a quick read with an interesting premise. What began as a simple mental exercise with a college roommate (choose any five people, living or dead, to join you for one meal) suddenly becomes a reality on Sabrina’s 30th birthday. The result is an unexpected encounter with four people from Sabrina’s personal life… and Audrey Hepburn. On its face, this seems like it would make for a light, fun read. Serle’s novel, however, drags her protagonist into a drawn-out exchange with people who represent a monumental amount of emotional baggage for her. Yes, even Audrey, in a way. While there are fun and light moments in the novel, it primarily feels like an analysis of where Sabrina’s life has gone wrong and if/how she can move on from those things. While I enjoyed this novel overall, it felt like there was something lacking. I think part of the issue is that fundamental weirdness of Audrey Hepburn’s presence as the only person on the list Sabrina did not know personally. The presence of only one stranger, and such an iconic one at that, brought something of a lopsided impression to the plot that I don’t feel would have been there if there had been an additional stranger at the dinner. As it was, it felt a bit like a celebrity barging into an intimate family discussion. The Dinner List has one bombshell of a plot twist (perhaps you’ll see it coming; I certainly didn’t) that changes the whole tone of the story when it hits. This book was an emotional roller coaster that ends with a glimmer of optimism and light at just the moment it began to feel too dark. Overall, a unique book that was worth the read. I received an ARC of this book in exchange for an honest review. All opinions are my own and not influenced by the publisher. Thank you for reading! Who would be on your dinner list? Discuss in the comments! This is an absolutely beautiful book. Ward’s lyrical prose, rich with metaphor and evocative imagery, meshes well with the magical realism woven into the story. Overall, this creates a dreamy atmosphere which provides a nice counter balance for the heavy, dark story lines; ghosts are full-fledged characters in this story, bringing along their baggage and trauma brought on by violent deaths. If I have any criticism at all of this novel, it’s that Ward’s distinctive voice sometimes gets in the way of her characters. There is too much similarity in tone between different point of view characters, blending them together. The prose was so lovely that it’s hard to mind, but it does have the effect of distracting from the story at times. For example, Jojo is 13 years old, and sometimes seems to have a college-level vocabulary. The writing is stylistically lovely, but not always believable as Jojo’s internal monologue. Leonie is a deeply flawed woman and unable to bond with her children. Kayla, the youngest child, looks to Jojo for a kind of surrogate parent, and she resents both of them for this evidence of her failure as a mother. I personally disliked Leonie deeply, but still found her point of view chapters endlessly engaging, a testament to Ward’s skill as a writer. If a book has me hanging on every word of a character that I can’t stand, that’s worth noting. I feel the need to warn readers that this is an emotionally difficult book to read. Themes include, racial violence, sexual violence, drug addiction, and death. These themes are handled masterfully, however, and Sing, Unburied, Sing, is the kind of novel that lives in the reader’s soul for years to come. Thank you for reading! Have you read Sing, Unburied, Sing or any of Jesmyn Ward’s other work? Please share your thoughts in the comments!